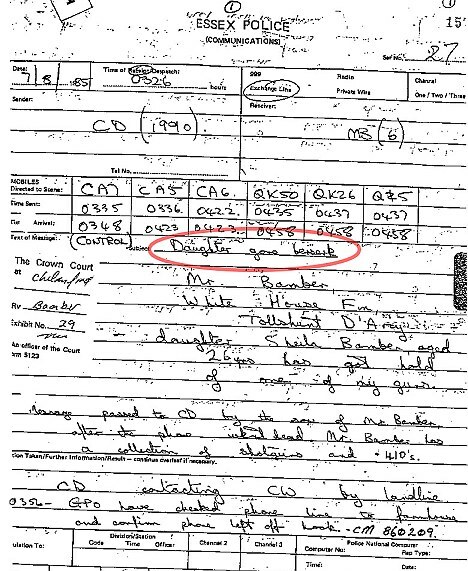 The police log of the call to Chelmsford Police reporting the incident (kept by Malcolm Bonnet). The second document says "PTO" which I assume stands for please turn over. Any scans of the other side? I think this is what was on the other side but I'm not sure.